Instead of focusing on wine tasting as some sort of elaborate, rigid routine fraught with ritual and stern judgement, wouldn’t it be nice if someone could just break it down for you via a few simple rules that maximize pleasure and learning while minimizing angst and consternation? 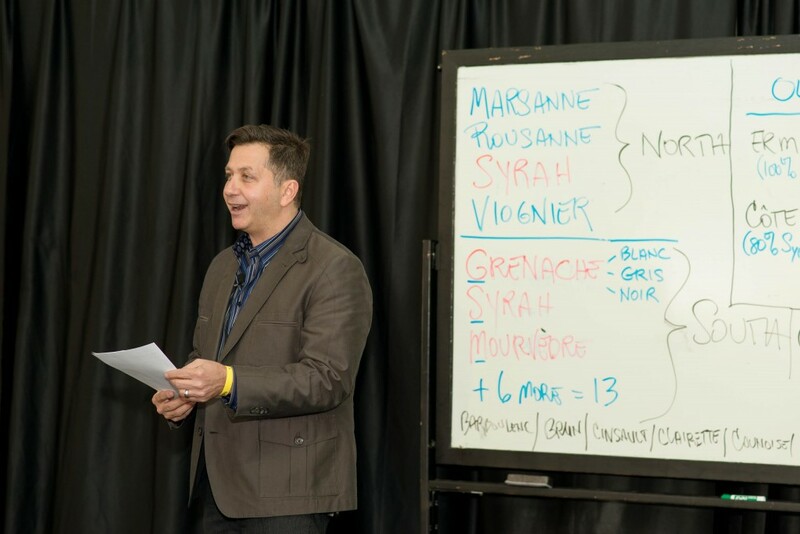 I was witness to just that when, as an invited media guest at the Taste of Tulalip, I attended Anthony Giglio‘s guided seminar on the wines of the Rhone versus the wines of Washington. A wine (red or white) may just be too aggressive, a bit unbalanced on its own. But something magical can happen when it shares space on your palate with something salty and fatty. Potato chips would be the classic go-to. Or maybe a well-charred and marbled ribeye with some coarse sea salt. Like a squeeze of lemon over a piece of fish, acidity in wine is what cleanses and smooths things out a bit, getting you ready for that next wine power play. PREACH IT! The best way to learn about wine is to try as much of it as possible. Preferably when you don’t have to pay for it. Take every opportunity you have to attend tastings at a local wine shop. Just remember you don’t have to drink everything you try; the spit bucket is your friend. 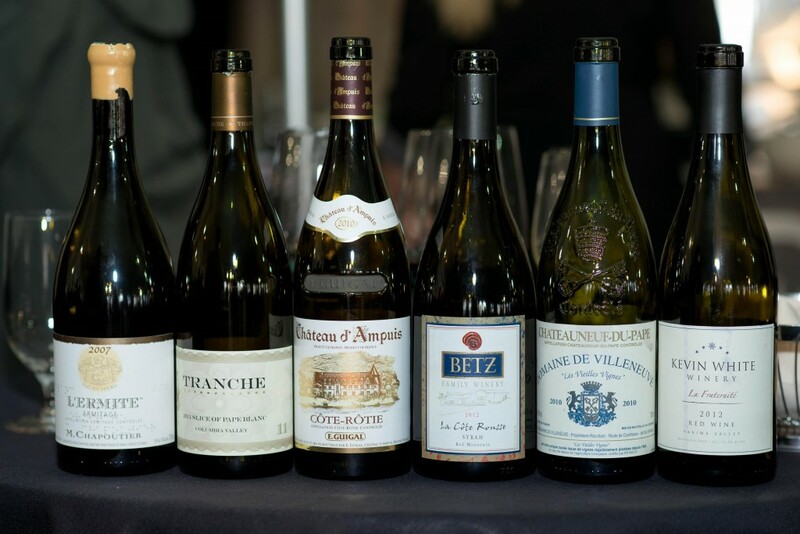 Oh, and about the wines we tasted: Some big-time heavy hitters. I was blown away that we were going to sample Chapoutier’s Hermitage “L’Ermite”. 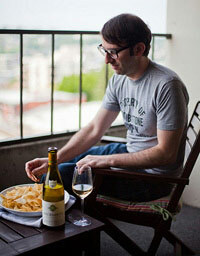 White wines from the Northern Rhone, especially the all-Marsanne versions from Hermitage, are some of the world’s best. This 2007 was still super young and more golden than King Midas. This wine “pillow fight” was a great opportunity to understand the grapes of the Rhone (both Northern and Southern) and see how they are interpreted in the Old World (France) and the New World (Washington State). The rest of the activities at the Taste of Tulalip were equally impressive. I was gobsmacked by the two rooms hosting “Magnum Parties”, where wines I never expected to sniff in my life were there for me to savor. (The vast majority poured from magnum.) Back vintages of Red and White Bordeaux, Hermitage Rouge and Blanc, Penfold’s Grange, Opus One, and so much more. Whoa! 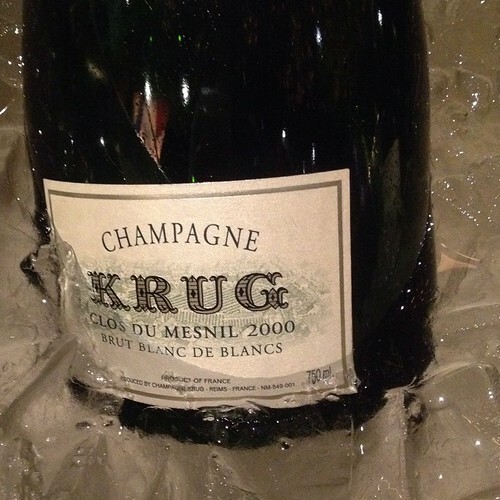 Even this rare jewel: Krug Clos du Mensil 2000. Aka “Magical Dream-Maker”. All of these experiences can be purchased separately. The All-Access Pass is the way to go, though if you just want to spring for the Grand Taste you’d be getting beyond your money’s worth. Either way, I highly recommend you book a room at the hotel or get a designated driver. As far as the caliber of wines, their rarity and abundance, I was mightily impressed with Taste of Tulalip. Every wine geek should mark their calendars for next year’s event. Look for me by the Krug. Top two photos courtesy Taste of Tulalip. I think the best suggestion is the three sips before judging. Even nothing in one’s mouth can still affect the taste. The mouth always retains some taste in the mouth; hence, the three sips will work to eliminate whatever is there. I like Anthony’s attitude. Just because I didn’t like a wine at the first sip doesn’t mean I wouldn’t like it on the second, particularly if I drank the second with a bite of a well-matched food. Huh. Our TJ’s never sample wines. I must investigate further! I agree the best suggestion is the three sips before judging. Sometimes I feel a wine is not good but after a few sips or after taking a bite of food it tastes totally different and I like it! Yes, wine gets a second chance to make a first impression. we are wine tasting over Valentines Weekend – I will keep these in mind! I also like the three sips suggestion – one sip is definitely not adequate. One sip is never enough. Unless your driving; those sips add up. Not very romantic but using the spit bucket is key. Getting home safe is hot! Love this approach. I, like many folks, have my favorite varietals, but am always, ALWAYS open to trying something new. And the trying it multiple times rule is a great one. I’m a big believer that I’ll try anything twice–it may be a completely different, and tasty, experience. Thanks for posting–I’ll be sharing with my blog community! Wine’s like food in that way. Sometimes it pays to be adventurous. I love these tips!! I’ve been to quite a few wine tastings and I’ve never heard #1 or #2 but they make so much sense. Can’t wait to put these into action. If you ever get to go to a wine tasting seminar with Anthony, make sure you go. Ha I love “the spit bucket is your friend!” You could definitely get into some trouble if you drank all of the samples! The first sip never counts is so true. You can’t learn the personality of a wine by just one sip.